“In his master’s steps he trod, where the snow lay dinted. Heat was in the very sod that the saint had printed.” These lines, from “Good King Wenceslas,” describe how the footsteps of a true and forthright mentor are worth following. They inspire, giving heat and vigor in the midst of life’s cold cruelty. Marion Walter Jacobs, known as Little Walter, may not have been a paragon of virtue, but he was a saint of the blues. Who has trod in the master’s prints this time? France’s Mo Al Jaz, who has been compared to “the Charles Aznavour of the blues when he sings.” One can definitely discern his accent on songs such as “Aw’h Baby” and “Blues with a Feeling.” On others, Mo sounds as American as his idol. This CD includes an even dozen of Little Walter’s covers, although some, like “My Babe” and “I’ve Had My Fun,” were originally written by others. 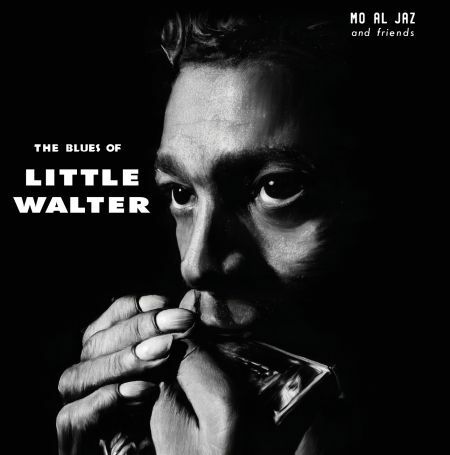 As a tribute album, The Blues of Little Walter is as très bien as they come, mostly because of Al Jaz’s terrific harmonica. 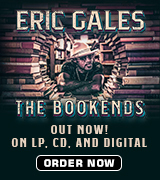 However, will blues fans want it in their library if they already have Little Walter’s hits? Those who strive for completion certainly will, as shall those who love performers with a ton of vocal charisma. One can clearly hear Mo’s panache. 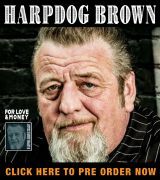 According to his website’s brief blurb, Al Jaz is a veteran harp player with several albums to his credit, who has idolized Little Walter since he began to play blues. He recorded this release with guitarists Dexter Shaw and David Imir, Francesca Shaw on bass, and Robert Pokorny on drums. The following instrumental is an ear-opener for sure, as it is the opener of the CD itself. Track 01: “Off the Wall” – YOW! Tunes like this one put blues artists on the map, full of a fire so intense it might as well be called an inferno. Catchy and danceable, it’s one of Little Walter and Al Jaz’ trademarks. Dexter Shaw and David Imir’s guitar fretwork fans the flames. Mo Al Jaz strives for excellence, and achieves it, as he performs The Blues of Little Walter!